Just months ago, the Korean peninsula stood on the brink of a war that threatened to turn nuclear. The danger of nuclear conflict between the United States and North Korea was increasing as both sides exchanged belligerent rhetoric. In a dramatic development however, June 2018 saw a North Korean leader meeting a sitting US President for the first time in history. Some analysts believe that Pyongyang may have successfully developed nuclear warheads and have tested missiles with a long enough range to carry them to the United States. Washington continues to upgrade its own, already massive, nuclear arsenal and wants to develop new, more ‘usable’ nuclear bombs. The historic summit, however, concluded with North Korean leader Kim Jong-un committing to work towards the de-nuclearisation of the peninsula with US President Donald Trump promising to guarantee North Korean security and halt provocative military exercises. The nuclear issue is only part of the longstanding political tension around the Korean peninsula, but this positive development is to be welcomed as part of a process that could lead to peace and stability on the Korean peninsula after decades of conflict and tension. For most of its history, Korea was a single political entity mainly coinciding geographically with the Korean peninsula area. It was occupied by Japan from 1910 until Japan’s surrender to the Allies at the end of the Second World War. The north of the country was occupied by the Soviet Union, and the south by the United States. By 1949 the occupying forces had withdrawn and two new states were founded: the communist-led Korean National Democratic Republic in the north, and the Republic of Korea, established by the US, in the south. In 1950, following a series of clashes along the border, North Korean forces entered South Korea, beginning the Korean War. The North was militarily backed by China, and to a lesser extent the Soviet Union, and the South by the US, under the auspices of a UN intervention force. The Korean War lasted three years: it cost the lives of an estimated five million people and left the peninsula almost entirely destroyed. The devastation experienced during this very brutal conflict has left a legacy of deep animosity towards US imperialism among the North Korean people who fear above all another devastating aggression. The war ended in armistice in 1953, a stalemate which persists with North and South Korea technically still at war. North Korea ratified the nuclear Non-Proliferation Treaty (NPT) in 1985, thus agreeing not to produce nuclear weapons. At this time, Pyongyang’s economy was starting to decline, almost completely collapsing after the dissolution of the Soviet Union. But under President H.W. Bush, the first president of the post-Cold War era, relations with the US initially seemed hopeful. The US withdrew its tactical nuclear weapons from Korean soil in 1991. This was a rare moment in international relations: a reduction in arms, a de-escalation of tensions, and a movement towards peace through diplomacy. The reaction in the Korean peninsula was clear – for the first time, North and South Korea signed a Joint Declaration on the ‘Denuclearization of the Korean Peninsula’, and North Korean leader Kim Il-sung agreed to inspections by the International Atomic Energy Agency (IAEA). But in 1993, the IAEA accused North Korea of violating the NPT, when it discovered the latter’s nuclear activities were more extensive than declared. In response, North Korea announced its intention to withdraw from the treaty but suspended the notice before it came into effect. The crisis led to the United States and North Korea negotiating an ‘Agreed Framework’, in which Pyongyang agreed to halt its nuclear activities in return for economic support. The sudden death of Kim Il-sung in 1994 had an immediate effect on nuclear negotiations. His son, Kim Jong-il, began a renewed series of missile tests. The Agreed Framework remained unfulfilled, and despite attempts by South Korean leaders to push for negotiations and maintain a focus on diplomacy, both Pyongyang and Washington returned to practising military drills along the Korean border. There was progress in 2000, following a peace summit between North and South Korea. President Clinton subsequently eased economic sanctions on North Korea, and North Korea responded by reaffirming their commitment to ending missile tests. President G.W. Bush inherited a potentially hopeful state of affairs in North Korean relations. But in 2002, he gave the now infamous speech where he called North Korea, Iraq and Iran an ‘axis of evil’ for continuing to build ‘weapons of mass destruction’. Negotiations between Washington and Pyongyang soon collapsed and the Agreed Framework broke down. By 2003, North Korea had declared its formal withdrawal from the NPT, stating its need for a nuclear ‘deterrent’ to ensure its security. Subsequently the Six-Party talks involving South Korea, North Korea, China, Japan, Russia and the United States were launched, to attempt to resolve regional issues peacefully. 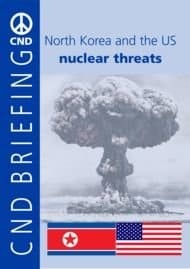 By 2005, North Korea had committed to abandoning all nuclear weapons and existing nuclear programmes, whilst the US affirmed it had no intention of attacking or invading North Korea. The agreement also covered the establishment of a permanent peace treaty to replace the 1953 armistice and the normalisation of US-North Korea diplomatic relations. However, when talks subsequently broke down in 2006, North Korea carried out its first nuclear test. There followed a cycle of tests and escalating UN sanctions complicated by frequent and large-scale US-South Korean military exercises that characterised the failed years of Obama’s ‘strategic patience’ – waiting it out for regime change under the pressure of restrictions. North Korea has always reiterated that its nuclear programme is in response to US hostile policies and that denuclearisation is contingent upon a US security assurance. After its fifth test in September 2016, North Korea voted in favour of commencing UN negotiations on an international treaty to prohibit nuclear weapons. In the meantime, the leadership is deeply committed to a nuclear defence which it sees, not least given the fate of Saddam Hussein in Iraq and Gaddafi in Libya, as a means to ensure survival against US attack. Tightening economic sanctions have not so far prevented North Korea from advancing its nuclear missile programme. Calling for a new approach, Trump placed ‘all options on the table’, whilst still pursuing sanctions, this time going for ‘maximum pressure’. Trump has also put pressure on China, which is responsible for more than 80% of North Korea’s trade, to enforce harsher measures. Meanwhile North Korea continued to intensify its missile testing. Tensions came to a head in July 2017 when Pyongyang tested its first long-range missile, followed by a further missile test over Japan. Rather than push for negotiations, Trump upped the ante, threatening to unleash ‘fire and fury’ on his adversary. Kim Jong-un then threatened another missile test in the direction of US territory Guam, only to step back a few days later. But Trump failed to build on this somewhat positive move and the US went ahead with its two-week joint military exercises with South Korea, flying two B1 bombers and four F-35 fighters close to the North Korean border in a clear message of aggression. North Korea then responded with its sixth, and most powerful to date, nuclear test. 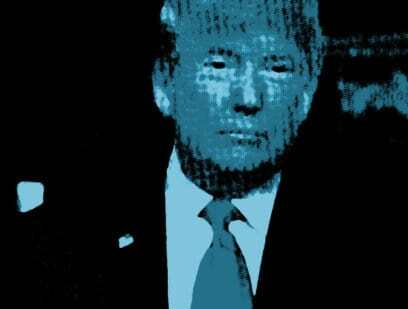 The United Nations Security Council rapidly pushed through Resolution 2375 to apply more severe sanctions, and Trump once again reacted with hostility, threatening to ‘totally destroy’ North Korea. Trump has also pursued a drastic escalation in the US’ nuclear policy. The US nuclear posture review, released in February 2018, commits to a new generation of nuclear weapons, with the emphasis on low-yield, often described as ‘usable’, nukes. The increase in stated circumstances in which nuclear weapons could be used is also very alarming. The US Defence Intelligence Agency reported in 2017 that Pyongyang may have managed to put nuclear warheads on its intercontinental ballistic missiles. Neither Russia nor China agreed. However, it is believed that North Korea still faces considerable technical obstacles in warhead miniaturisation and missile re-entry into the atmosphere and is probably still a few years away from a fully functioning system. But as the window of opportunity to prevent North Korea developing a credible nuclear weapons system gets smaller, diplomacy is needed more urgently than ever. The summit in Singapore in June 2018 may have provided the long-awaited breakthrough however. With negligible advance discussions, Trump met Kim for historic talks which ended in a joint agreement that the two countries would co-operate towards new relations with the US providing security guarantees to North Korea which in turn commits to denuclearisation. The agreement may not say anything new, but they key is that it has been achieved at all. Just months ago, the world was looking at the possibility of nuclear war: the summit has pulled us back from the brink. Only cynics would think that a negligible achievement. CND welcomes the summit outcome and hails the meeting as a very positive development. At a time of escalating militarisation and increasingly dangerous policy developments, an outbreak of dialogue in an exceptionally tense region is a welcome step. CND also welcomes Trump’s subsequent announcements that the US will halt what he termed the ‘provocative’ military exercises it conducts in the region with South Korea. While some positive steps towards peace have been taken in recent times, what is also needed is a step forward in international disarmament by the nuclear powers. It is surely hypocritical to punish one country for developing nuclear weapons, while eight other countries possess them and are actively developing them with impunity? A commitment by the US, UK and others to the United Nation’s global nuclear weapons ban treaty would be a positive way of continuing talks with Pyongyang. After all, North Korea did vote in favour of setting up the treaty. As far as achieving long term stability in the region, the talks needs to include agreeing a peace treaty to end the Korean War, the formalising of mutual declarations of no hostile intent and the establishment of a Northeast Asian Nuclear-Free Zone that would verifiably eliminate North Korean nuclear programmes while committing South Korea and Japan to remain non-nuclear states as well. The alternative to a negotiated solution is nuclear war and the deaths of millions of innocent civilians. Should a new war break out, casualties, both military and civilian, would be heavy, with estimates of up to a million dead, not least given the close proximity of Seoul, a city of 25 million, to North Korea’s border. Japan could also become a target and whilst an attack on Guam could activate NATO’s collective security mechanism, Russia as well as China, both nuclear-armed states, could also be drawn in. North Korea is to be condemned for its repeated nuclear and ballistic missile testing in violation of UNSC resolutions. Equally, the US is to be condemned for failing to comply with its NPT disarmament commitments and its nuclear modernisation programme. It also bears responsibility for escalating tensions to the point of crisis in the past, not least through the disastrous ‘Axis of Evil’ speech which led to North Korea’s exit from the NPT. Particularly provocative for North Korea are the joint US-South Korean military exercises which year by year have grown in size and sophistication. At the same time US nuclear-capable bombers have been deployed with increasing frequency, sometimes right up to the North Korean border. The US and South Korea are not themselves in compliance with UNSC resolutions, all of which have stressed the importance of all concerned working to reduce tensions. It is imperative that all sides make efforts to advance towards a lasting, peaceful agreement. CND calls on Britain to be a powerful voice for peace in these crucial times; now is the time to encourage further negotiation and steps towards denuclearisation in the region and beyond and to recognise that the arguments against North Korean nuclear weapons are applicable to all nuclear arsenals. If this latest initiative succeeds, not only will the world be a safer place, but the peoples of Korea will finally be able to draw a line under close to seven decades of conflict and insecurity.